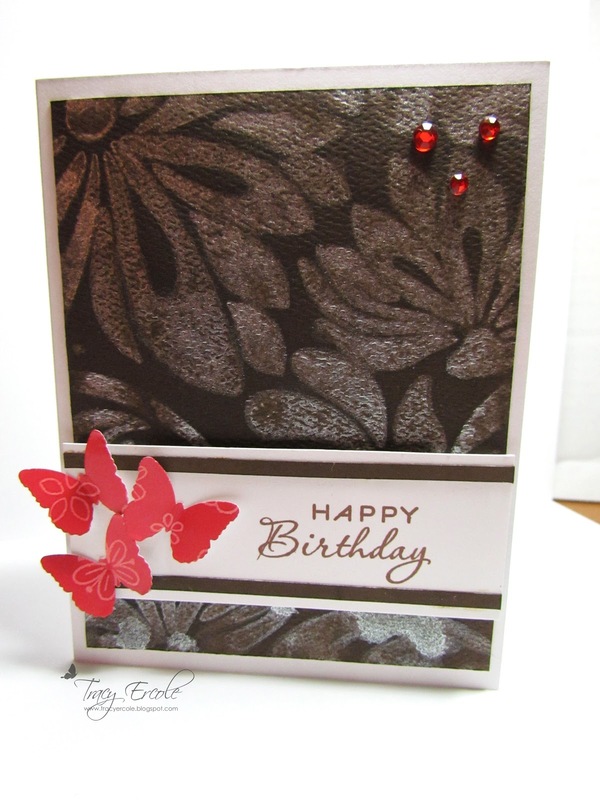 I have been watching the videos for the Inspiration Showcase Classes run by Jennifer McGuire. I am loving the videos and have been experimenting with the techniques, I made this card today. There is a resist technique on it so I am putting it in the Lily Pad Cards, Simon Says Stamp sponsored challenge and the Wee Memories Challenge #68 which is to use no pattern paper. What a beauty Tracy! 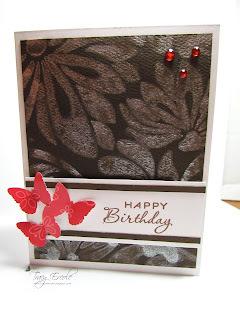 I love the touches of red with the butterflies and gems. Great effect. 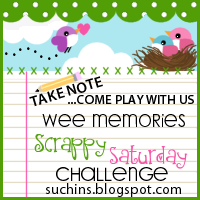 Love your background.Thanks for playing with us at lily pad cards.